When Twist Ultra Lounge connected with ShiftUP Consulting they had a successful nightclub that needed a web presence and booking system. 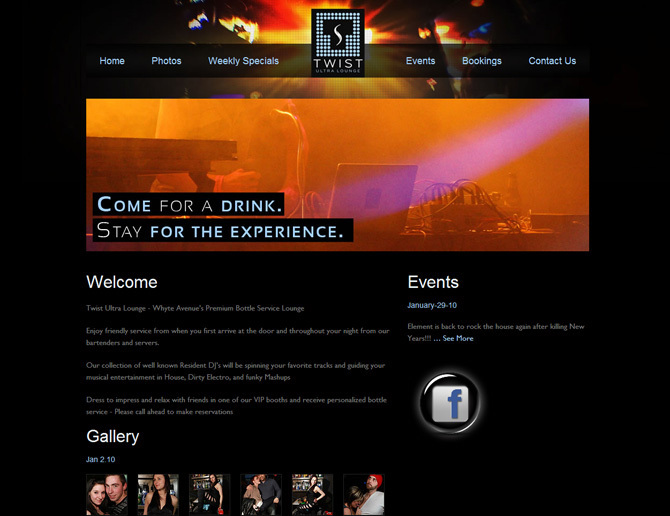 We were able to put them into a modified version of our existing nightclub software. It allowed the management to put photo albums up on Flickr and have them dynamically populate into their website. As with the other nightclub websites we've designed, it has the ability to instantly add daily specials, special events, store customer membership information and e-mail it's entire member base. The interface we built to show the photos stored with Flickr is quite impressive so please set up a login and check it out!